I was at my brother’s place this Diwali- he is posted in place Mandsaur, located on Madhya Pradesh and Rajasthan border. Mandsuar is disctrict head quarter with approx 100,000 population. If you are familiar with India, you know that Mandsaur will not even figure in India’s top 100 cities. Traditionally, Diwali has been considered very important period for movie releases and this year also DON (directed by Farhan Akhtar and remake 80’s blockbuster DON) was getting released. Mega movies releases approx 200 prints as each print costs Rs 60-70,000 and distribution limited to mini-metros. Only two-three cities ( Bhopal, Indore and maybe Gwalior) in the entire Madhya Pradesh will come under this category. Surprisingly, DON was getting released on first day at Mandsaur. A bit more exploration and visit to the cinema hall led me to the discovery that much discussed digital distribution of movies is reality in India and there are more than 500 operational cinema halls. The Cinema hall, Shreeji Chitra Mandir- MandSaur , is part of UFO moviez network. The cinema hall owner is very happy with arrangement as it allows him to screen movies on the first day of release and fight piracy & the cable network. The operating cost is also less and it doesn’t need any consumable items like carbon bulb etc. 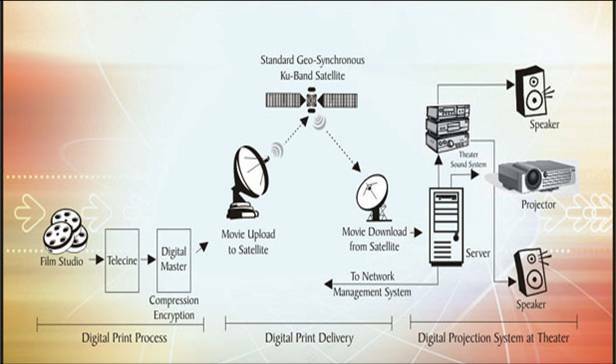 The digital cinema system configuration is as per below. UFO moviez has got DRM with digital encryption system. Each show will get released by providing transaction id on billing server. The UFO theater-server also monitors system health and displays critical information in a simplified form on the system’s screen. All actions by the system and users, including systems engineers, theater-managers and operators, are logged by the theater-server and transferred to the UFO NOC for regular audits. UFO moviez has connected more than 500 cinema halls. I got exposed to few more interesting indicators / flattening forces during my trip and I will be discussing them in coming weeks. Tushar – this is very insightful and timely. I knew digital film distribution was coming soon, but I didn’t know it was here already in India. One question – I understand that with digital distribution, it’s going to reinvent cinema as an advertising medium, because it will overcome the distribution/formatting cost barriers that are currently in place. Is that happening already in India? Are you seeing a wider variety of ads in cinemas due to the digital format? A few hundred screens are jumping on to the Digital Cinema bandwagon this year in Hollywood according to the Economist’s latest publication “The World in 2007”. With Hollywood and Bollywood embracing and exploting this technology, it is just a matter of time before other countries with local film industries of their own, start noticing. 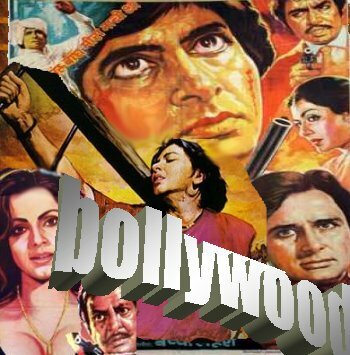 Already the big Bollywood banners are salivating at the prospect of 2000 screens launching their latest blockbuster duirng an opening weekend. It enables them to mop up about 60 % to 80% of theatrical revenues in one swift move. It also enables them to open up other windows like Pay TV, Satellite TV, Home Video more quickly and help squeeze out piracy very effectively. More screens is also going to open up the regional film industry in India. You will have more films in Bhojpuri, Punjabi, Gujarati, Marathi, Odissi, Bengali among other languages and dialects since distribution, both cost and reach, will no more be an issue. We need to participate in all this excitement by capturing the real estate available for advertising in the encrypted disks. James- It’s also great example of aggregation of long tail for advertisers. The digital distribution companies are also interested in aggregating the non screen based advertising options.One distribution company Pyramid Siamira ( http://www.pyramid-saimira.com/index_1.html) is already in market with IPO to get more fund and scale up operation. As Suku has mentioned – digital cinema will also bring down cost to market and encourage many niche content and language movies. It will create many sub culture and expand the long tail further ! Thats flattenig indeed. Strange coincidence but my latest post is also on the world is flat. I am a Director. and I have directed bhojpuri, Haryanvi, Hindi Albums done.and next project is Hindi 35mm Film Aaja Re Shawerya is Progress in shoting. Please contact Production and distributors for the Realesethis film. Contactno 9873265650 Address-e-42 sector-6 noida u.p India.